Try as you might to ignore how fast the diary pages are turning, there's no denying that Christmas is coming and it's coming fast! For those of you who haven't started your shopping yet or haven't finished we've put together a Christmas gift guide to offer up some inspiration. We are very proud to be stockists of the Lanka Kade range. Lanka Kade helps to support over 200 families in Sri Lanka through the skillful making and selling of these gorgeous wooden toys. 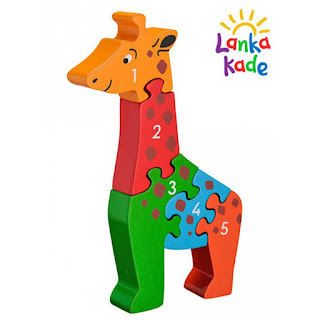 All of the toys Lanka Kade produce offer educational benefits as well as enjoyment ones, from literacy and numeracy skills, building, shape recognition and more. See the full range here, with the smallest items starting at just £4.95. 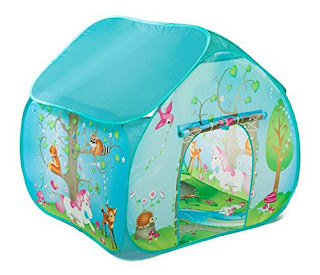 A perfect place to play, nap, read and more, this very affordable easy to erect and pack away pop up tent makes a great choice of gift. Suitable for use indoors and out the Enchanted Forest Pop Up Play Tent which sports a useful roll up and down door cover may be used all year round. There are other designs in the range including a farm, fire station and a pirate themed version all priced at £23.50. See all four and read more about their size and specifications here. 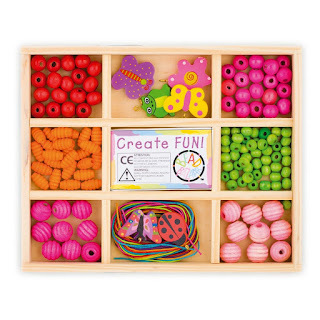 The Nature Friend Bead Box is packed with fun for little ones who enjoy jewellery making and arts and crafts. Great to use alone or share with siblings and friends this lovely variety of shaped and coloured beads make great patterns. Priced at just £10.45 it also makes for a budget-friendly buy, always great at Christmas when you might have a number of children to buy for as well as your own. Here at Dotty Hippo we are huge fans of the Janod range which is why you'll find we offer a large number of their different toys and games. We turn to Janod because of their high quality craftmanship, bright colours, fun and educational benefits. We also stock them because we like playing with them ourselves from time to time (for professional research obviously!). 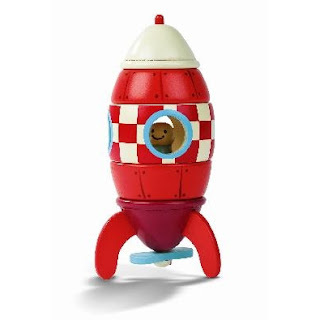 This Janod Magnetic Rocket is one of our most popular items and for true fans comes in a large size and a giant size. Visit the website to see the full Janod collection as well as the brightly coloured magnetic rocket ship. To see more pop along to the website where you will find a wider range of toys, games, decorative items and more with something for all ages and all budgets.